Projecting the essence of your new product takes more than just know-how. You need a space that can accommodate any size of audience and the staff trained to handle the occasion. This grand hall of 2800 sqft is ideal for hosting exhibition and conferences which is capable of accommodating 400 guests. 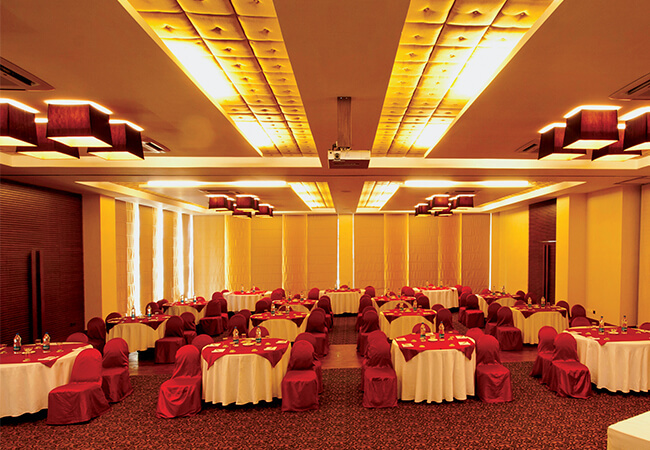 Royal Pavilion pre function area with 876 sqft provides the perfect preface to your power meetings.